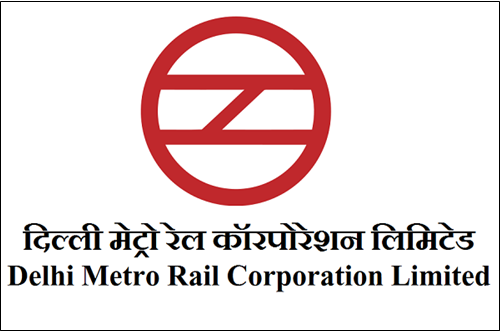 Delhi Metro Rail Corporation Limited (DMRC) has invited applications from eligible Indian Nationals for recruitment to various posts, vide DMRC recruitment advertisements No: DMRC/OM/HR/I/2018 & DMRC/OM/HR/II/2018. The Computer Based Test (CBT) for recruitment to various post are scheduled to b e held from 9 th April 2018 onwards and E-Admit Cards are being issued to registered E-Mail IDs of the candidates/ applicants for appearing in CBT. The registered candidates/applicants can also download Admit Cards for appearing in computer based test from Career pages of DMRC website. Delhi Metro Rail Corporation Limited (DMRC) has recently issued the recruitment notification for 1984 Junior Engineer, Assistant Manager, Maintainer, and other vacancies. For the announced posts the DMRC has accepted applications till 26th February from the interested and eligible aspirants. A huge number of aspirants seeking DMRC jobs have applied for the announced jobs. The DMRC candidate selection process is based on written test and interview rounds. Candidates applied for DMRC Posts have to appear for the test on the scheduled date. This is with reference to the vacancies earlier advertised for different posts, vide notification under reference above. Following is the tentative schedule for the Computer Based (Online) Test. 1. Admit card shall be available only on our website. Candidates are requested to download their admit card in color format only from DMRC website viz., delhimetrorail.com only, E-Admit Card link has been dispatched to Registered E-Mail IDs of Candidates. No separate admit card shall be dispatched through post. 2. The examination will be conducted in shifts at scheduled time mentioned in E-Admit Cards. Candidates have to report 1:00 Hrs before commencement of test for bio-metric registration at test centers. 3. The above schedule is tentative, any change in the schedule will be updated on website only and candidates may remain in constant touch with DMRC website viz., delhimetrorail.com. 4. Non-Receipt of E-Admit Cards/Discrepancies, if any in E-Admit Card should be reported to DMRC Toll Free Help Desk No: 022-61306222, Email: dmrc@examshelpline.com, for addressing grievances. 5. Online Objections Management Link shall also be made available to candidates for 5 days, after conduct of Computer Based Test to their registered Email ID for logging objections w. r. t. Questions and Answers, if any. 6. Results will be published after review of Objections by Subject Experts at DMRC website after 15 days tentatively on closure of online objection link. 7. Candidates are requested to visit this website regularly for latest updates.